Respawn entertainment chose the winners for the Apex Legends Season 1 Fanart Challenge which consisted of several amazing pieces. Here’s the winners of the contest. Respawn Entertainment held a fanart content that started in beginning of March all the way to the 24th. Artists around the world were encouraged to submit their depictions of their avorite Legends. A number of rules applied in order to get the submission to Respawn. 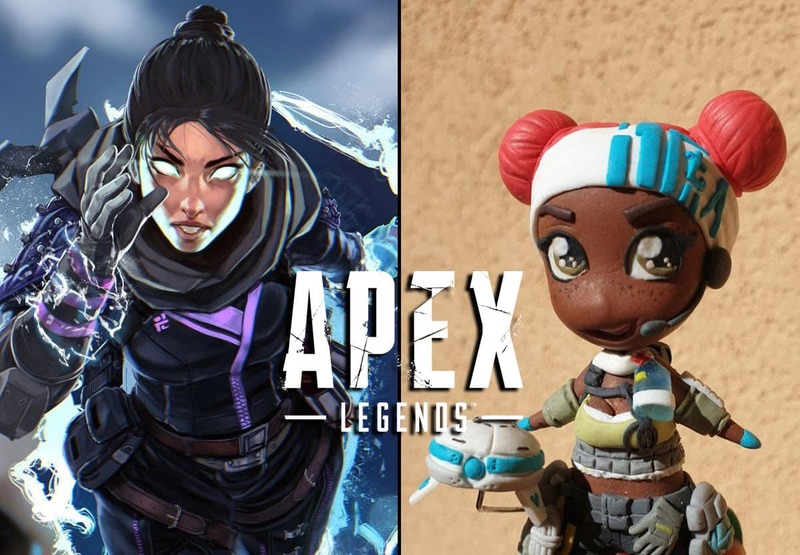 Firstly, artists had to follow @Playapex to have their fanart in the running. There were some technical requirements such a submitting images only in “.jpg, .png, .gif, or .pdf” file format, or keeping the image size at 1280 x 720 pixels. The winners were to be announced on April 1st. What would the winners get? Winners would get an official Apex Legends t-shirt. As well as a signed collectible poster from the Respawn crew. What’s really neat about the signed poster is that it’s unique to the winners. T-shirts can be bought, but the posters cannot, and they will be the only ones in the world with this unique collectors item. 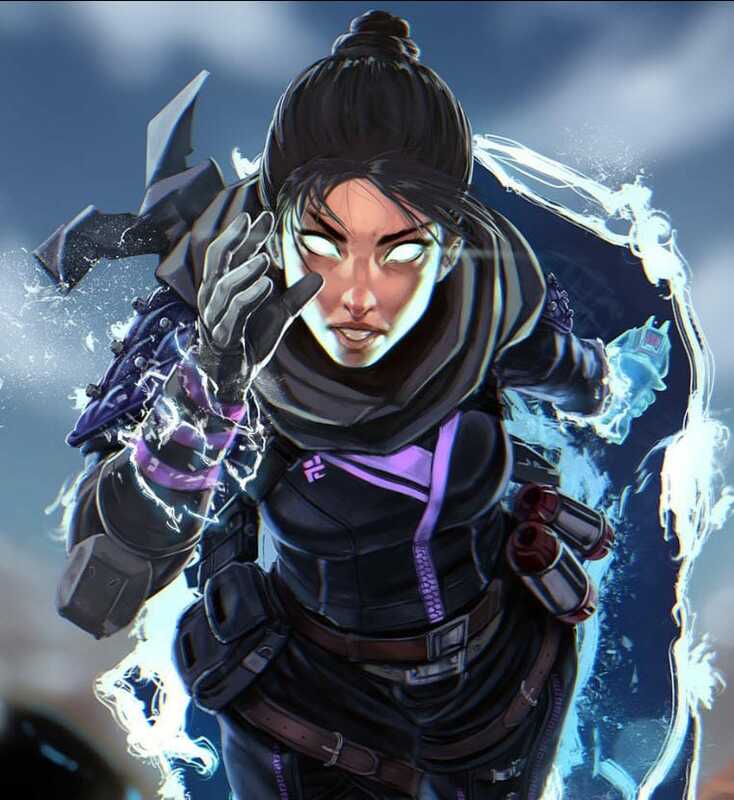 They also tease artists with the “limelight” feature of their artwork on the official twitter page (@playapex). That’s a great way not only to exposue your work to Apex fans, but to exposure yourself to millions of twitter users as the artwork will be retweeted and shared thousands of times. Who are the winners of the Season 1 Fanart Challenge? Many art submissions have been tweeted with the hashtag #ApexFanartChallenge. Followers of the contest would seen many different submissions over the month of March. There have been some incredibly artwork done by very talented gamers, and choosing the winners wasn’t going to be an easy task. Nonetheless, Respawn was able to choose nine winners for the Apex Legends Season 1 Fanart Challenge. @PlayApex highlighted the winners on their official twitter page. What’s great is that @PlayApex showcased the artwork alongside the name of the winner’s twitter account. If someone really liked one of the artworks, they would be able to get in touch with the original artist which is a nice touch by Respawn. Nine winners would be chosen. Each choice for a different Legend. Respawn narrowed it down and choose the best Lifeline art, Wraith art, Octane art and so forth. Here are some of the winners from the Apex Legends Season 1 Fanart Challenge. 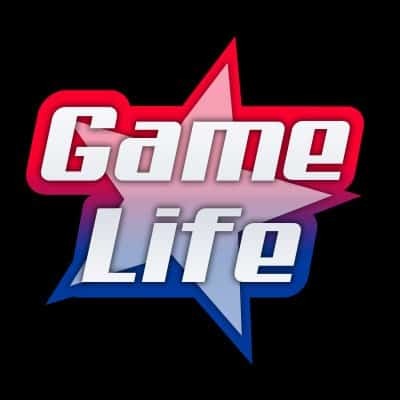 G21MM (Grim) is an Artist & Twitch Creative Streamer out of Las Vegas. She does original art (all her own) and you can catch he doing live illustrations over at her Twitch channel here http://twitch.tv/G21MM. This Wraith rendition is possibly one of the most stunning pieces from the contest. The attention to detail, shade, color, and motion is stunning. Definitely a favorite of ours. Kloirr is an artist and streamer. 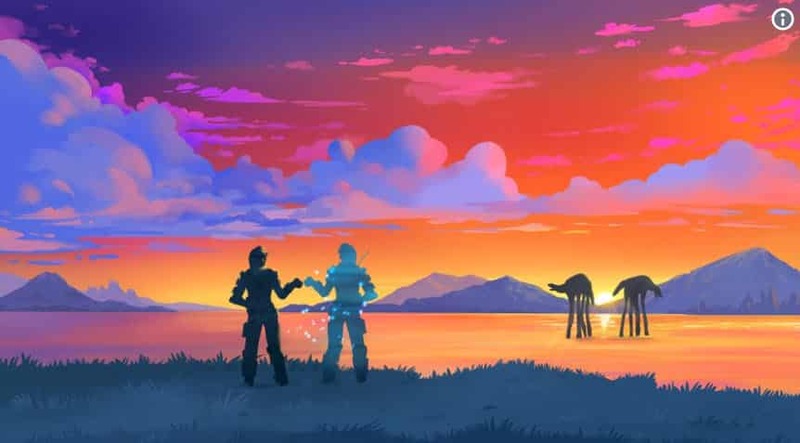 On hr Instagram page she posts a lot of landscape pieces, which made sense to do one of the beautiful landscape we all see in Apex Legends. She choose Mirage as the focal point, alongside the Leviathan creatures. The colors chosen for this piece is simply remarkable. The colors of the sky draws your attention to the top of the picture, gradually making you go down into the sunset. Perfectly done. Gyal73 is an avid gamer, but loves to sculpt mini gaming figures. 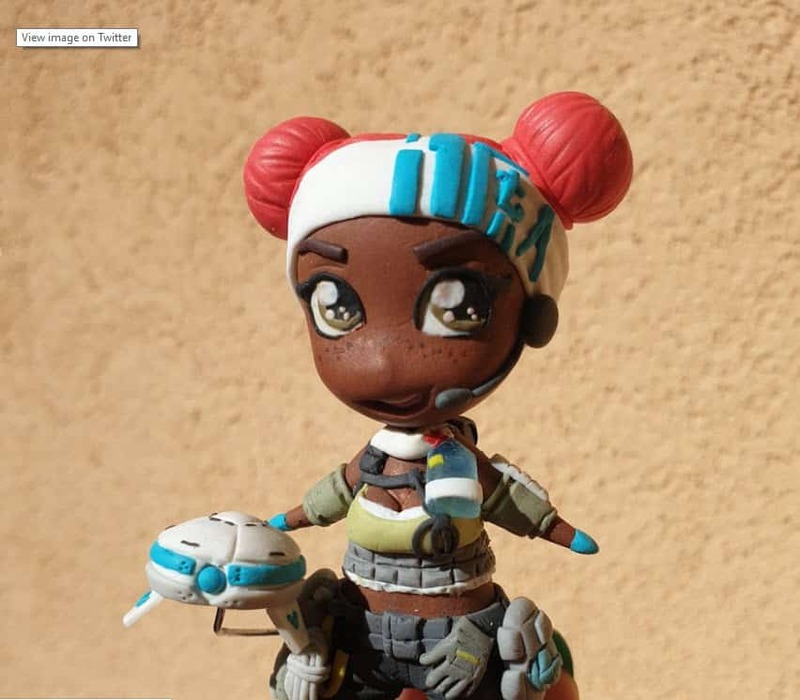 She entered the Apex Legends art contest by submitting a miniature Lifeline figure that’s just adorable. It reminds us of how Nintendo Power use to sculpt mini figures of new hit video games and add them in the front cover of their magazines. But perhaps that’s going back a little too much. For the size of the figure, Gyal73 definitely nailed it!